I find cooking to be a creative outlet and even relaxing. But, for some people, it’s really not their thing. Who does the cooking? We each cook our individual meals. Although both of us choose healthier choices, I carry my choices a little further than my wife. We respect eachother’s positions and therefore cook separately. You are an out of the box, independent thinker! What a wonderful and mutually respectful solution. Kudos to you and your wife. This is right in the nick of time …. I will be seeing my daughter (gluten intolerant) on Saturday and I would like to make her a cake. This is perfect and I will use chestnut flour, I think and possibly use a nut milk to give it a nutty chocolatey taste that I know she will appreciate. Thank you! That sounds good. I never heard of chestnut flour. Maybe use almond extract instead of vanilla? This cake is indestructible. I like the idea of almond essence …. do you know bakewell tart (or correctly pudding but its definitely a pie) – it is almond heaven and yo u can make a fantastic gluten free version. Chestnut flour is my go-to for a lot of things because we live in a chestnut growing region of France. Fortunately, I love it! I hope you enjoy it … if you struggle to find a gluten free version I can send you mine – it’s been a staple in our house for many years! It didn’t look quite as brilliant as this one! Fantastic post, I look forwards to seeing more. Thank you! I am starting to post my baking recipes, now that I can bake and use a thermometer to adjust the temperature. Mazel tov on your kiddish. We made one for my husband and I posted some of the recipes on the blog. It was really nice. Enjoy! I must check those out! Thanks!! YUMMMM! What have I been missing?! 1 BOWL?! Love it! So sorry, you went into my spam. Enjoy! 1 bowl and it makes a fairly large cake so you can freeze some. Enjoy! Oh! I like how you call it! This does look very easy, and delicious! 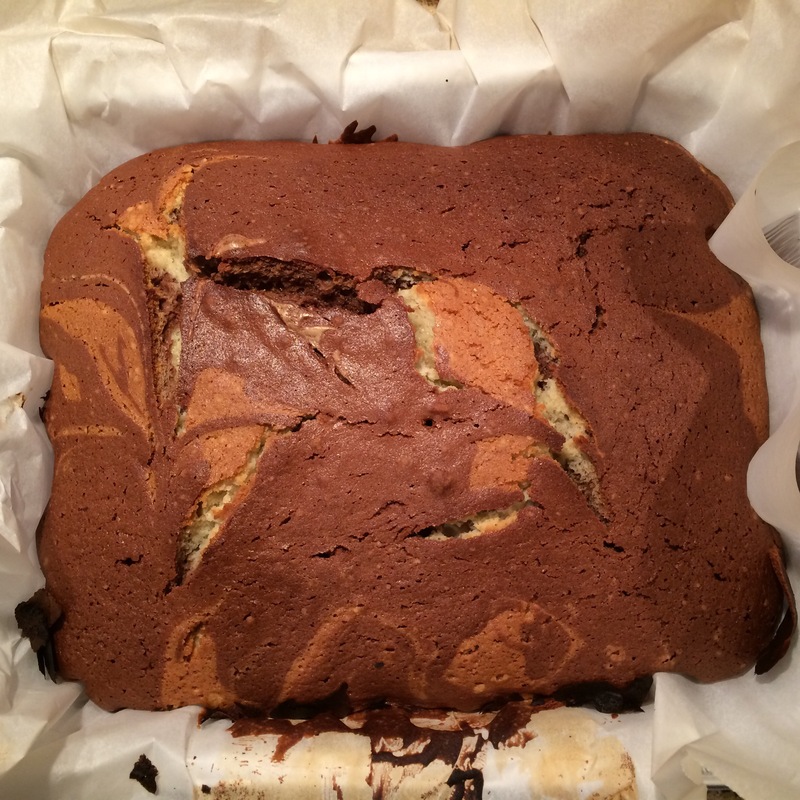 I am so glad you are writing again and posting a yummy cake recipe! I remember making it with my grandmother, but we didn’t use milk, of course. All kids have this idea that commercially prepared and packaged food is better than homemade; it’s the influence of TV commercials, unfortunately. Eventually, they grow out of it! It is a strange world. It used to be that the bakery would try to imitate the home. Now, it is the other way around. But, this was practically all eaten. A good sign. I think that apple juice would be good, but on the Feingold Diet, no apples are allowed. So, rice milk is easier. I am happy I discovered using the oven thermometer. What a difference! The old joke: when they opened King Tut’s sarcophagus, they found his mummy clutching a papyrus that lamented “Wow to us that our children do not see the world the way we do!” We didn’t use any liquid at all, just halved the leikach batter, added cocoa powder, and marbled it. Then we ate it topped with apple mousse that was made and preserved when apples were in season. Well, you can’t argue with what works. With 2 cups of flour and fresh fruit, I think you don’t need any liquid. That is how I make a fruit torte. I made one yesterday with the leftover cranberry relish. I am going to post that next. Sort of like chemistry. That should be yummy – I am looking forward to your post! I am writing it now. 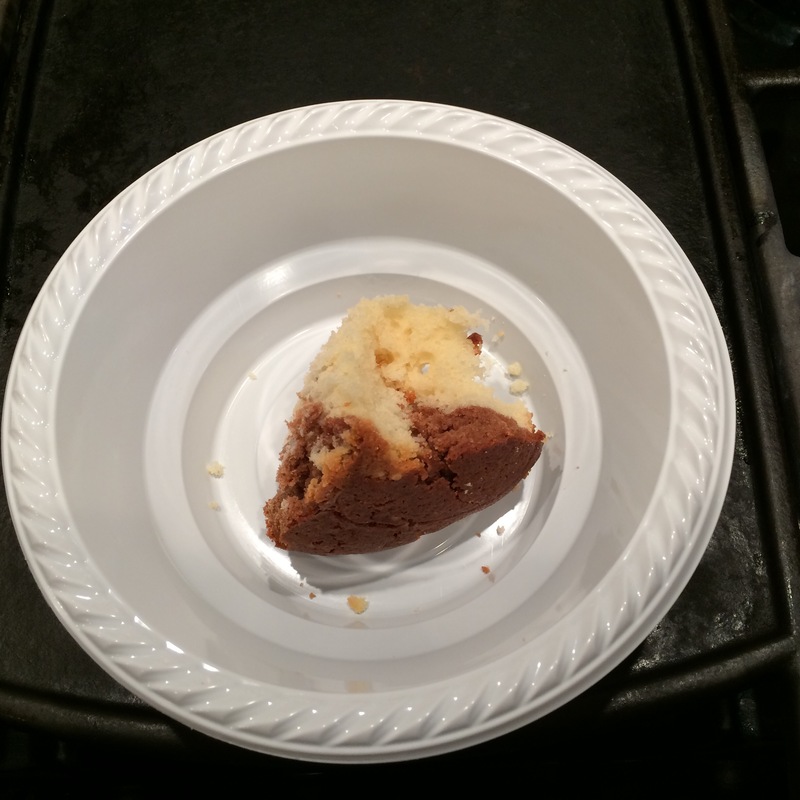 I have 1 basic cake recipe that I then adapt, depending on circumstances. I try to limit everything to one bowl, if possible.